It’s hard to find a walking trail in Britain where the whole thing isn’t neatly chunked up so that you end each day in a village with a cosy pub in. To find yourself in the middle of nowhere at the end of the day is actually quite difficult. After all, where would you stay the night? If you want to spend your evening in the middle of nowhere, you generally have to be wild camping or staying in a remote bothy. Sometimes though, it is possible to escape the world, and find yourself in a B&B in the middle of nowhere with no pub, no mobile signal, no nothing just us and the owners. I did it on the Pennine Way, on that final stretch between Byrness and Kirk Yetholm. If you don’t know much about the Pennine Way, its final twenty five miles or so are pretty remote. Whilst some people do walk the whole thing in one day, most split it over two, either by staying two nights at either Kirk Yetholm or Byrness. However, in the middle of nowhere, a couple of miles off the trail, sits a remote building. It has a tea shop in it. And it does accommodation as well. 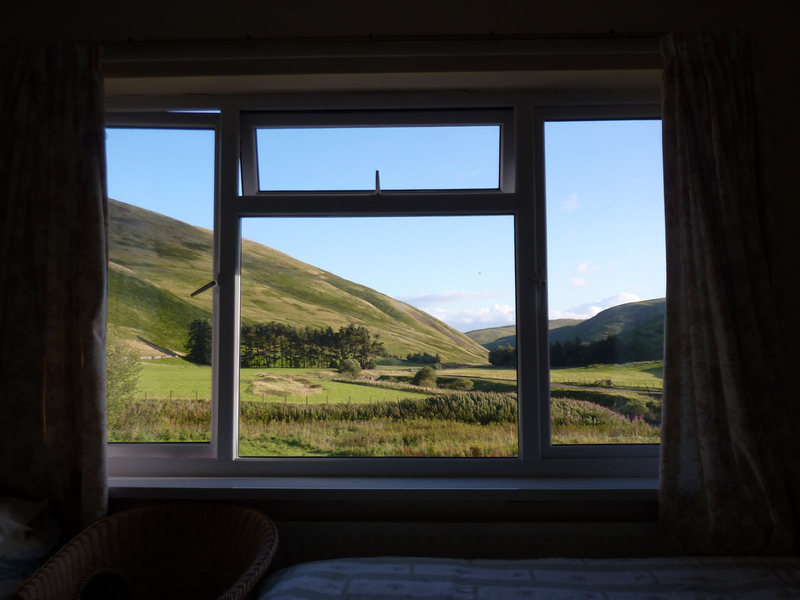 We stayed in Barrowburn in the summer of 2010 and can honestly say we’d never stayed anywhere quite like it. It was surreal, sitting in a house looking down a deserted valley, wondering who used that phone box that stood on the corner. With no TV signal, and nowhere to go, we spent the evening relaxing. Later we turned the lights off and looked out in the dark, able to see nothing at all. This really was getting away from it all, yet with a roof over our heads. It was an experience like no other I’ve had. If you’re thinking of doing the Pennine Way, do consider it. It will be a night to remember. Thinking of walking the Pennine Way? Check out our guide to planning your trip – including options for splitting up the Byrness to Kirk Yetholm section. First Published: 18 May 2014. Last Updated: 9 January 2015.